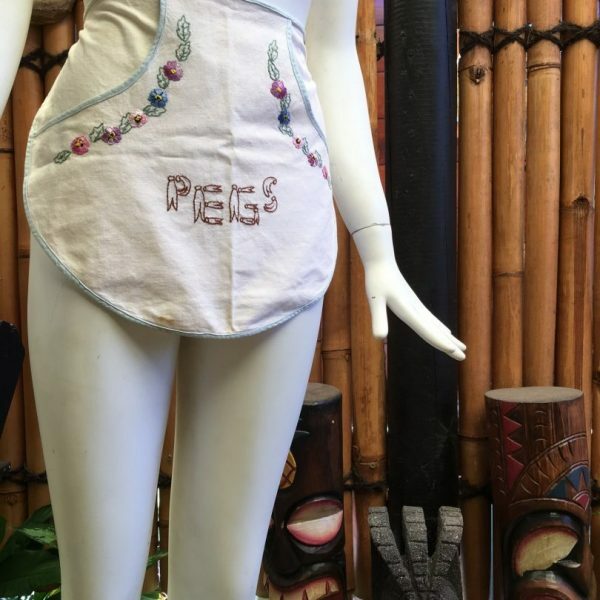 This adorable hand-stitched peg apron probably from the 1930’s or 40’s would make a lovely addition to any traditional vintage home. Put it under glass & hang it in your laundry! It’s kind of too twee to put pegs in those little pockets. It is in good condition with just one small stain on the bottom which you can see in the photos. But how cute is the word “pegs” written in peg font?! !